Hunter-gatherers are most often thought of as living thousands of years ago; an extinct lifeway that our ancestors engaged in before discovering the joys of pastoralism and agriculture. Some people might think of ‘lost’ or ‘uncontacted’ Indians in the Amazon in relation to hunting and gathering, but such groups are neither lost, uncontacted, or hunter-gatherers: horticulturalism has a long history here. 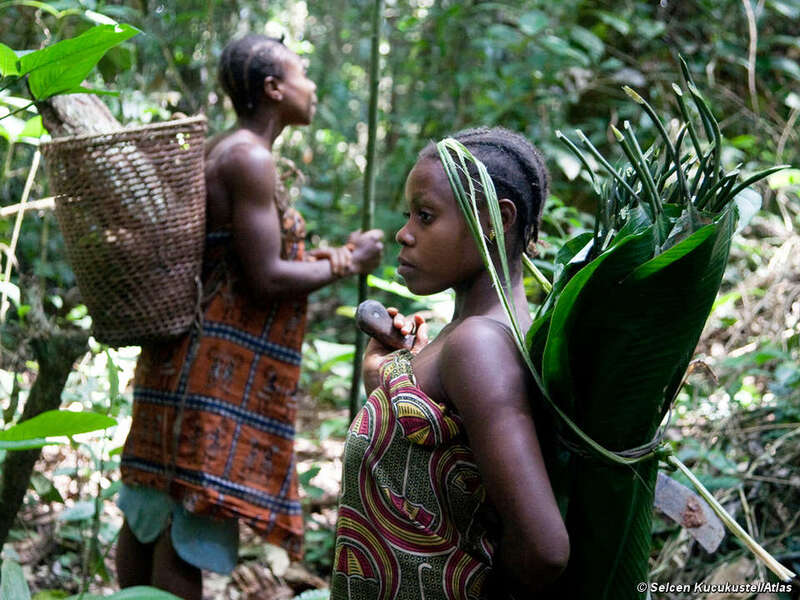 The truth is hunter-gatherers are with us today, and the largest population is in the Central African rainforests. Perhaps it’s no coincidence that the last stronghold of hunter-gatherers share the beautiful Congo Basin with the three other African great ape species – chimpanzees, bonobos, and gorillas. These forests are a sanctuary of abundant resources and act as protection from outside forces. A common view amongst most agriculturalists is that hunter-gatherers are bound to go extinct. They are living an idealistic, nonviable, and unsustainable lifestyle, they argue. Let’s put this in perspective; since 1970 the planet has lost almost two-thirds of mammal, bird, fish, amphibian, and reptile populations. Climate change, caused by ‘advanced’ societies has resulted in heightened droughts, famine, infectious diseases, resource wars, extreme weather, and caused increased poverty and refugees. The very air we breathe is so polluted in parts of China that residents are importing canned air from the Canadian Rockies. We’re living in an age with an impending threat of nuclear attack, prevalent gun and knife crime, human rights violations, depression, suicide, and record inequality whereby eight men have as much money as half of the world’s population. And what is behind all of this? The answer lies with an ideology – capitalism, making as much money as possible. As a result of this economic system invented a mere 500 years ago in Europe, where environmental and social values are disregarded in favour of maximising profit, a mentality of endless exponential economic growth has been adopted – ‘faith-based economics’. A ‘first world’ lifestyle is only viable through environmental and social abuse. Those that get in the way are removed by the capitalist system – nearly four environmental defenders were killed a week last year. 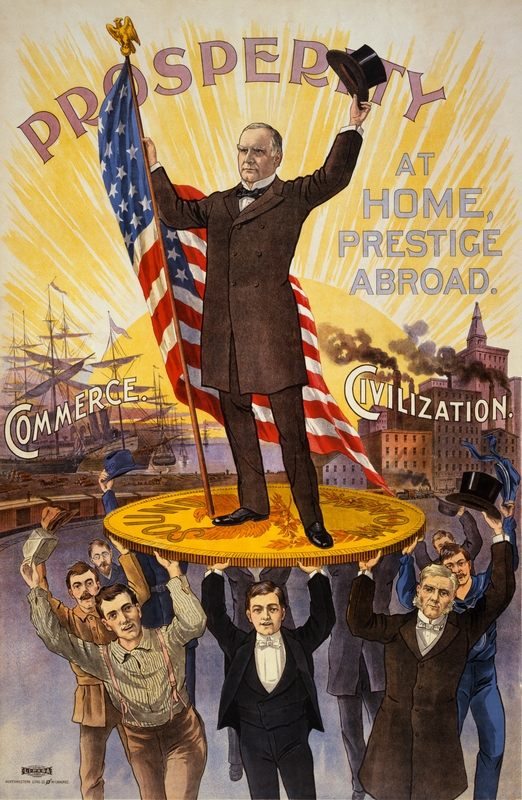 For many, the introduction of capitalism has led to nothing but branding as ‘poor’, and placed at the bottom of the economic and social hierarchy. The fact is that hunter-gatherers and Amazonian hunter-horticulturalists are extraordinarily wealthy: their environments contain the most biodiversity on Earth – biological wealth; their kinship and community relationships are uniquely strong – social wealth; and, if we venture into capitalist terms, their land often nurtures vast reserves of minerals, metals, oil, and other commodities – economic wealth. Those owning such resources for so long are tricked and exploited by foreign extractors with foreign interests, in order to fuel the capitalist machine and degrade biodiversity and social rights in the process. And if you’re not convinced that perhaps capitalism is not so sensible, and that perhaps advanced societies are not so advanced after all, get stuck in to the literature on those predicting the future of humanity as it stands, starting with Prof Martin Rees’ ‘Our Final Century‘. Contrast all this with a hunter-gatherer economy. An economy which modern humans have utilised since our species appearance ~300,000 years ago, and though adapting and adjusting, still ongoing today. Which do you think is more sustainable? 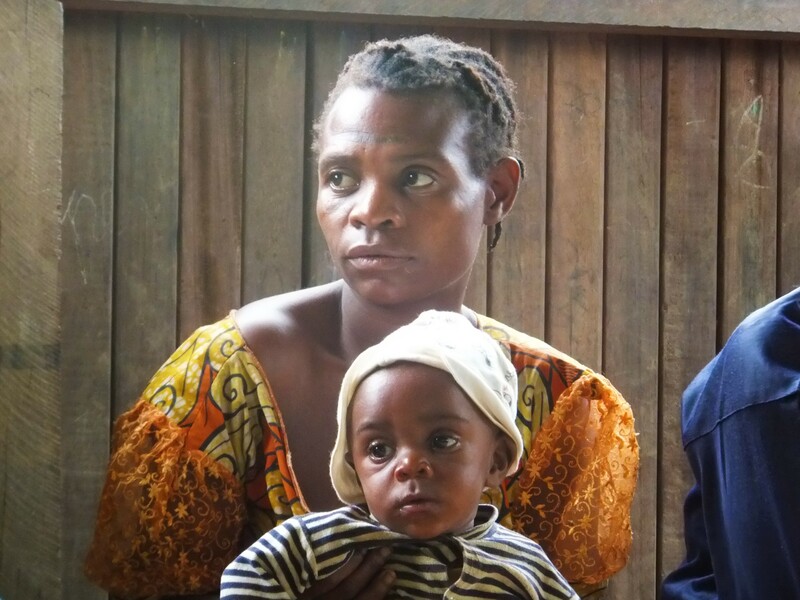 It’s been a year since we first visited five communities in the rainforest in south-east Cameroon. 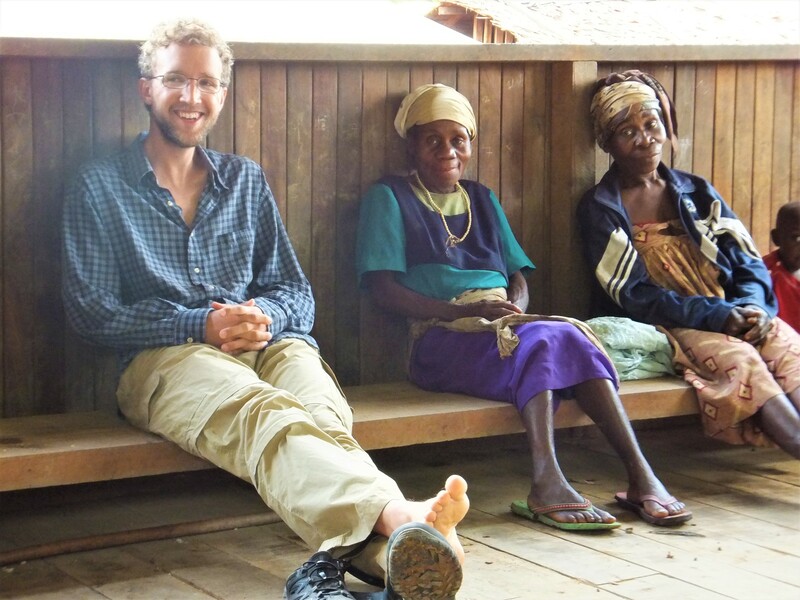 Two of these are indigenous Baka hunter-gatherer villages, the other three being Bantu farmers. Almost no-one in these villages had used a smartphone before, indeed many of the community members had never even seen one (they don’t come around often in the rainforest). It’s quite amazing that after a handful of meetings, training sessions, and field-trials, all of these communities are not only successfully and independently reporting wildlife crime using smartphones, but taking photos, audio clips, and GPS points! There is a considerable amount of skepticism from scientists and organisations on the ability of local and indigenous communities to contribute valuable data and act as collaborators, rather than recipients (or obstructions), of conservation programs. For the most part, this is based on a perceived lack of technological capabilities and ecological and holistic knowledge. To say this is a misinformed approach is an understatement; such communities are proving their technological abilities time and time again, their ecological knowledge directly inherited from generations of accumulated environmental interactions. If you’re a quantitative person, the data says it all: 144 reports have been independently taken since June 2017, including 71 photos and 31 audio recordings, directly contributing to anti-poaching efforts. Re-visiting the communities again on this trip has been as enjoyable as ever. They are clearly both delighted and shocked by our commitment to them, exclaiming “Simon! You’ve come back! How is London? !”, followed by a long series of hugs. Despite several people’s fears that the phones would get stolen or mistreated, every phone and solar panel is in perfect condition – quite remarkable considering they’ve been taken around the rainforest for three months. Three new communities have began the process of joining the project, after introductory meetings with six. Only those who mention outsiders hunting and trafficking animals in their forest are considered; the project is not to be forced upon any community or initiated where it is irrelevant. One of these new communities is far along a small mud track, quite isolated from town- and city-dwellers, yet they told us of outsiders coming in with lanterns and stealing their resources from the forest. This Baka community has clearly maintained a strong connection to the forest, repeating how the forest is “our father and mother” and telling stories of visiting chimps and gorillas. They expressed their anger and outrage over the designation of a ‘community forest’ for them to utilise; “This does not make sense to us” they said. Cameroon’s 1994 Plan de Zonage, fencing off chunks of land to be allocated to forest and mining concessions, agriculture, protected areas, and community forests, has resulted in forced relocations for Baka hunter-gatherers to the roadsides. Technologically-speaking, an interesting event occurred. Whilst re-training a couple of guys in one village as to which icon category to press in order to find specific icons, I asked them “What is this category for?”. They were confused by this and answered incorrectly for almost all of the categories. I found this bizarre as these guys had already sent accurate reports on their own. I rephrased the question, “Where would you go if you wanted to report a poacher’s cabin, for example?”. They immediately pressed the correct icon category and found the icon in question. Jerome Lewis, my supervisor at UCL, told me of the difficulty for such forest hunter-gatherer groups to recognise the idea of things within things invisible at first (folders, files, categories). Most things in the forest are either there or they’re not. The experience shows that those two guys remember where the icons they want are; the icons for each icon category, though often the same as those for icons inside, are considered almost a meaningless entry point. With law enforcement currently the bottleneck to action taking place based on community reports, an insight into the mind of a Ministry Chef de Poste was very welcome. This came in the form of a baby chimpanzee. His mother had been shot and he was chained up in a trafficker’s house, up for sale in the illegal pet trade. We received information about the baby chimp from a local businessman who had been made an offer to buy the chimp. After various phone calls, texts, and group talks, we approached the local ministry officer, responsible for illegal wildlife crime. Corruption is the primary issue to effective wildlife law enforcement in Central Africa, and the official had a ‘what’s in it for me?’ attitude. Most interestingly, his primary reservation was fear of reprisal from the community holding the chimp – he would be seen to be at war with local people, despite this being his job. He called a colleague down the road to deal with it. After several days of no updates, we decided to contact the Last Great Ape Organisation (LAGA), a law enforcement NGO in Cameroon with a reputation of getting things done. I wasn’t sure at this point whether the baby chimp had been sold off, or even killed, but finally we received a message: “Thank you for your information. The trafficker has been taken away. The baby chimp is enroute to a sanctuary”. A shame that it took an Israeli NGO to take action, rather than the Ministry’s own wildlife crime officers, but an incredible and rare success story none the less. The baby chimp has been named Farah, and is now in the excellent Mefou Primate Sanctuary, run by Ape Action Africa. You can see a video of his arrival below, and donate to the sanctuary here. It’s important to remain optimistic about conservation and inspire people to effect change, but the facts must first be acknowledged: over the past 40 years, 58% of Earth’s vertebrate wildlife has been lost. That means that if you were born in 1970, all of the species that you see around you today only make up 42% of what existed at your birth. There is scientific support to not only declare that we have entered a new manmade geological age, the Anthropocene, but have also initiated the 6th Mass Extinction Event, the 5th being the extinction of the dinosaurs. Of the key threats identified as responsible for this elimination of animal populations, overexploitation is one to note. In Central Africa, overhunting of forest species – especially forest elephants, western lowland gorillas, chimpanzees, and pangolins – in an incredibly well-planned and efficient commercial international wildlife trade, is emptying the Congo Basin rainforests, the second largest after the Amazon. In Minkébé National Park, northern Gabon, previously regarded as an elephant stronghold, numbers have declined by 80% over 10 years. That’s 25,000 individual elephants and 50-100+ hunted per day. And that’s just elephants. But probably enough negative stats for now. Back in Cameroon, I’m again working alongside local colleagues from the Zoological Society of London (ZSL) to develop an app through which forest communities can report and monitor illegal wildlife activity. This is not a top-down effort; we’ve visited each community and held meetings, focus groups, and consultations to find out exactly what issues each is facing, and how they want to use the app, if at all, to tackle these. Indigenous Baka communities should be conservation’s key allies, yet they have been forced out of their forest and treated as part of the problem rather than the solution. Read this post for a quick rundown of the project. My ZSL colleagues, supervisor from UCL (the brilliant Jerome Lewis) and I have just returned from an area south of the Dja Biosphere Reserve, around the town of Djoum. As the communities themselves decide what they’d like to report and monitor using the app, we went back and forth to the 2 indigenous Baka hunter-gatherer villages and 1 Bantu farming village repeatedly to share ideas, listen to problems they might have with the software, and test out different icons. Interestingly, it was largely not the icons of poachers and animals which villagers found confusing, but rather the cancel icon (red cross), confirm (green tick), and forwards and backwards arrows. This makes perfect sense when you live in a rainforest. To my surprise, we found both mobile network and data connection in all three villages visited. In the forest! This will make the job a lot easier; records will be able to send without having to climb a moabi tree. Building up trust with communities is central to having any hope of success. They need to know we’re not just another NGO passing through to make big promises, perhaps building a toilet block someone in New York decided they needed, and never returning. So, we stayed overnight with 2 villages. Both were very hospitable, with one showering us with as much fish, rice, papaya, bananas, pineapple, and cacao pods as we could eat. Sitting around the fire talking with Baka elders about how their grandfathers used to hunt elephants in the forest with spears was a rather unique experience. This Baka village is a strange mix between old forest tradition and the 21st century. One man, who owns a mobile phone and wears similar clothes to mine own, revealed his ancient culture persisting: “I came across a gorilla in the forest. A huge gorilla. And thought it was a grandfather. It was big and I thought it was a grandfather. I saw after a while that it was not a grandfather, it was a gorilla. It started approaching and banging on trees aggressively, and so I started cutting branches, waving and throwing them, and shouted until it moved on”. It can be tough having to spend weeks in a country you don’t really understand, don’t speak the language, eating what you’re given, being hot and sweaty most of the time, and getting constant attention and comments because of being white. But the positives also stack up: excellent music (like this and also this from Guinée), fried plantains, beautiful forest. Cameroonians are a friendly and happy bunch (Bantu and Baka alike), even in situations with great food insecurity and endless corruption. One boy asked me for money to buy some deep-fried beignet (a rare occasion). After my declining, he merrily replied “d’accord”, and trotted down the street. Just being given the chance to have a say in the future of their forest (let’s remember the Baka have lived successfully in these forests for at least 70,000 years), not even a promise of action yet but the very act of consulting them, brings much joy and gratitude and reminds me of why this is the only way conservation here will work. Gaining the trust of communities leads to much more open and frank discussions. Through this, and engaging with law enforcement officers, it’s clear that the level of corruption is severe, with the very people responsible for trialing poachers and overseeing the process sometimes at the head of organising such activity. Tactics will therefore have to involve the collection of hard evidence by communities (the eyes and ears), accumulating this, and taking it the bosses of the bosses with a healthy dose of international pressure. 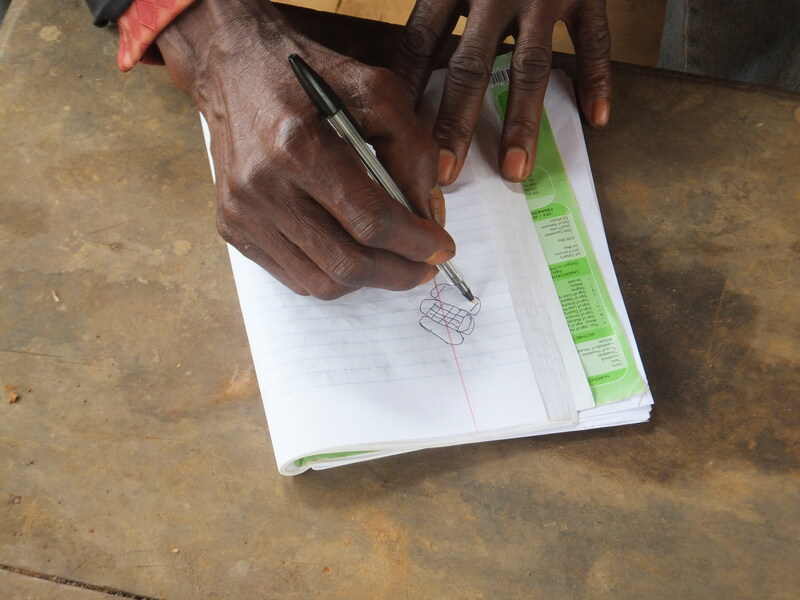 The whole basis of my work in Cameroon, and of the work that ExCiteS does, is to empower local communities, enabling them to have a say in conservation. 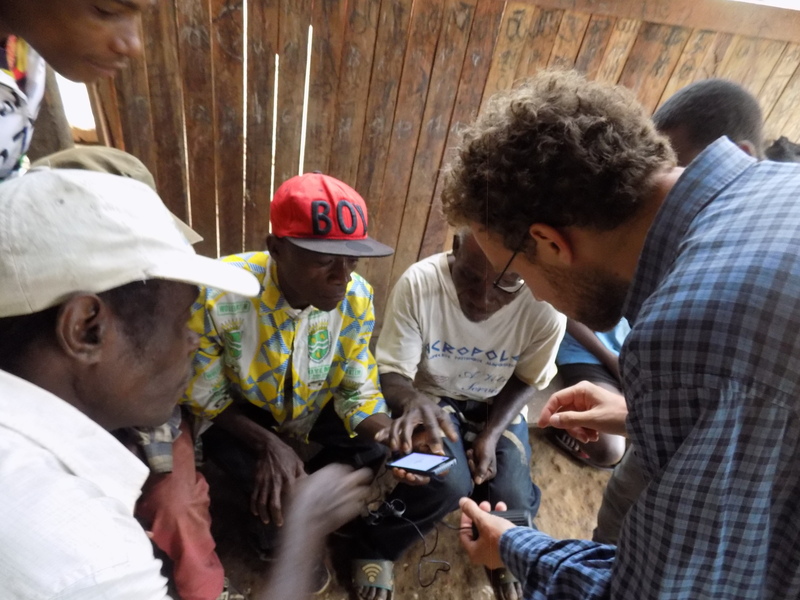 For me, this means consulting with Baka hunter-gatherer and Bantu farming communities who reside inside and nearby the rainforests of the Congo Basin, asking these community members themselves as to what their imminent issues are and whether our data collection and reporting app Sapelli might be of use. Promoting this essential idea of community participation is best done by other local people. This means that well-trained local people with experience in social and environmental anthropology are essential for sustainable resource-use and effective conservation in Africa. Unfortunately, local people who tick this box is far too few. Aiming to change this, however, is the Centre of Social Excellence, based both in Cameroon and Indonesia. The inspiring, beautifully made, and highly informative film below explains their work and the importance of training African leaders for the future of their continent.